Happy Tuesday everyone...I hope you all had a great extended Weekend. 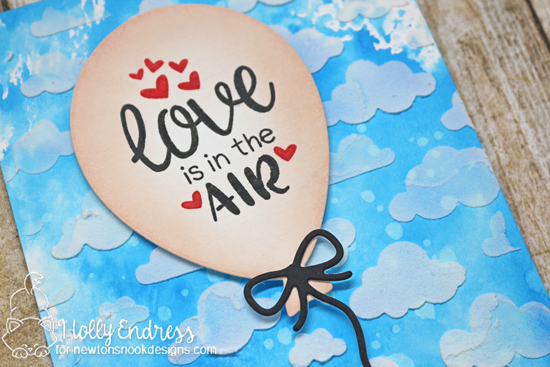 I'm up on the Newton's Nook Design Blog today with a card featuring the Balloon Shaker Die set and the Uplifting wishes Stamp set. I created a background on a piece of Distress watercolor paper with some Salty Ocean Distress Oxide Ink. Once that was dry I added some Clouds with the Cloud Sky stencil and some White Embossing Paste. While that was drying I die cut a Balloon from the Balloon Shaker Die set from some additional Watercolor paper and added some Antique Rose Distress Oxide Ink around the edges leaving the center light. Then Using some Candied Apple and Black Soot Distress Oxide Inks I inked up the sentiment from the Uplifting Wishes Stamp set. You can do selective stamping by covering up parts of the images you want to be a different color when inking or you cand cut your stamp apart. Yes, I said cut your stamp apart, Don't worry about the Clear stamps they always fit perfectly right back together and stamp just like the did before you cut them. I added some Black Soot ink to the String die for the balloon tail and then I added some foam tape to the back of the Balloon image. 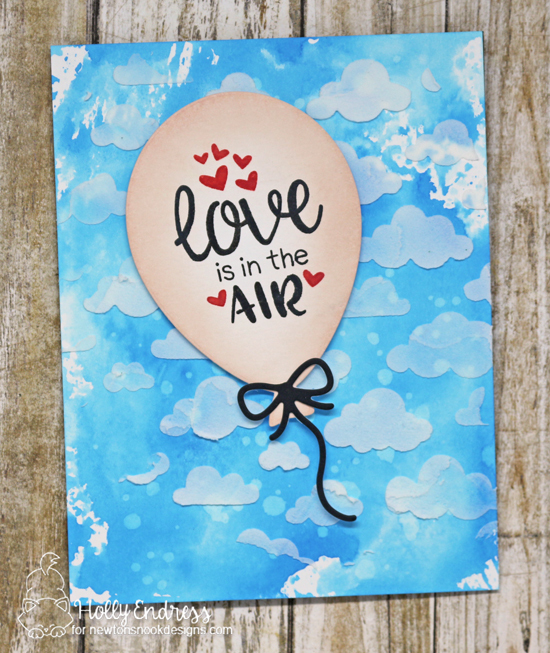 Once the background panel was dry I adhered it to a top folding A2 size card base and added the balloon image. Be sure to head over to the Newton's Nook Blog for more inspiration from the team. Thanks for stopping by today!